Flights from Dar es salaam to Arusha, Kilwa, Mafia, Pemba, Ruaha, Selous, Tanga and Zanzibar. Flights from Dar es salaam to Nairobi, Kenya, Kilimanjaro, Arusha, Zanzibar, Mwanza, Bujumbura, Grumeti, Manyara, Seronera and Mombasa. Flights from Dar es salaam to Lindi, Mtwara, Nachingwea, Iringa and Mbeya. Flights from Mwanza to Bukoba, Karagwe and Loliondo. Kenyatta Road/ post street P.O.Box 336, Mwanza. Flights from Dar es salaam to Arusha, Pemba and Zanzibar, malindi street, p.o.box 2113,zanzibar. 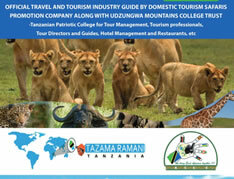 Flights from Arusha to Kilimanjaro, Manyara, Ngorongoro, Seronera, Grumeti, Kleins Camp, Ndutu and Sasakwa. Flights from Dar es salaam to Blantyre, Malawi. Flights from Dar es salaam to Mumbai, India. Flights from Dar es salaam to Amsterdam, Netherlands. Flights from Dar es salaam to Addis Ababa, Ethiopia. Ohio street, TDFL Building, P.O.Box 3187, Dar es salaam. Flights from Dar es salaam to Harare, Zimbabwe. Flights from Dar es salaam to Lusaka, Zambia. Flights fro Dar es salaam to Entebbe, Uganda. Harbour view Towers, P.O.Box 22636, Dar es salaam. Flights from Dar es salaam to Maputo, Mozambique. Flights from Dar es salaam to sanaa ,Yemen. Flights from Dar es salaam to Kigali, Rwanda. Flights from Dar es salaam to Johannesburg. Flights from Dar es salaam to Zurich, Switzerland.